Is schmarminess a part of godliness? 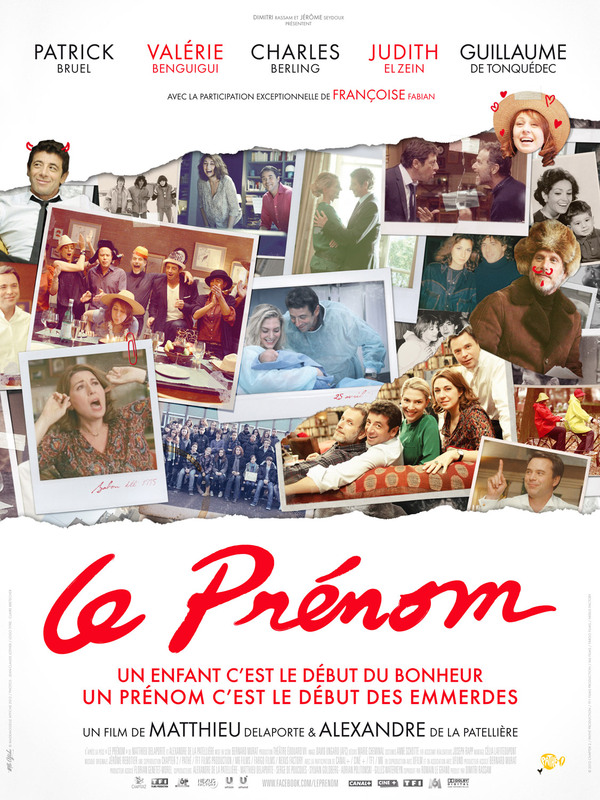 When a group of friends arrange to have dinner together, all hell breaks loose when Vincent (Patrick Bruel) announces that he’s going to name his baby boy Adolphe. Pierre (Charles Berling), his childhood friend and also his brother-in-law, as well as his sister Élisabeth (Valerie Benguigui) take offense of the name, as it is too similar to Adolf. The debate and the hilarity quickly spreads to the rest of the dinner guests – Anna (Judith El Zein), Vincent’s wife, as well as Claude (Guillaume de Tonquedec), their childhood friend who everybody suspects to be gay. Le prénom (What’s in a name?) is one of the most enjoyable French movies that I have seen and is the highlight so far from the ones that I have seen from the 2013 Alliance Française French Film Festival. It is highly engaging, very witty and it keeps you entertained and holds your attention from the beginning until the end. The debates and the conversations cleverly weave through some contentious issues and then question their logic, such as – if you really can’t name your baby Adolf, why do people still name children Joseph when Stalin is also notorious? Has Hitler single-handedly destroyed the name against future usage? Most of the scenes take place in the dining room – and some people have likened the movie to Polanski’s Carnage, which I haven’t seen. Maybe that should be the next on my ‘To Watch’ list! If you think this sounds boring, you’re really mistaken. The movie is out on DVD already and if you are in Australia, you may want to check it out during the French Film Festival! It’s one of the highlights that you wouldn’t want to miss!